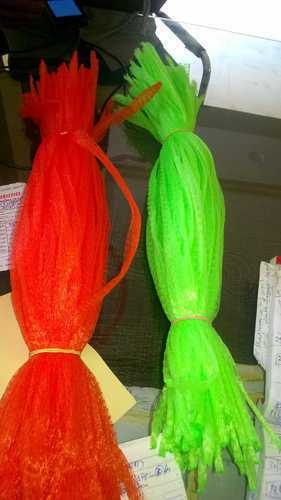 Our company has been successful in winning appreciation from the clients as one of the most prominent names in the trading of Fruit Packing Net Bag. Incepted in the year 1994, Sanmati Traders is an eminent entity indulged in manufacturing, trading and supplying a huge compilation of Plastic Disposable Spoon and Fork, Disposable Glass, Plastic Straw Pipe, Disposable Cup, Disposable Container, Paper Napkin. Manufactured making use of supreme in class material and progressive tools and technology; these are in conformism with the norms and guidelines defined by the market. Along with this, these are tested on a set of norms prior final delivery of the order.